Vince and Cat are agents with the President's Special Forces. The PSF is a small, highly covert agency answerable only to known, and known largely only by, the President of the United States. They exist to handle sensitive missions that would cause uproar in the halls of Congress or inflame journalistic sensibilities if word of them got out. These missions were too secret to let a larger, more public agency like the CIA handle so the President had this organization created. It was lead by a man named King and he was as protective of the secrecy as he was of his agents. To help maintain the cloak of anonymity, the PSF routinely sought out young, talented teens from the foster care system, men and women that had no one else so had no one to question where they went, what they did, and, sadly but just as important, why they did not come back. The jobs the PSF undertook were extremely dangerous and too often fatal. Eric Tresito had been in the care of the PSF since he was a teenager. When he was 12, young Eric, or "Vince" as he preferred to be called, was the only child of a heroin dealer and user for a father and a junkie for a mother. Vince would just as likely be home working as a lookout for his drug pushing dad as he might be in school and the squalor in which they lived was disgusting but since it was all Vince had known, he was used to it. That came to an end when the LAPD came calling and his father, doped up from his own product, chose to protect his wares with whatever it took. 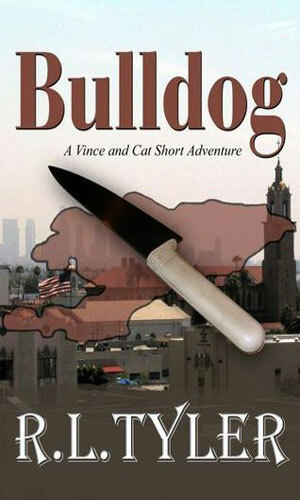 It took his life in a hail of bullets which Vince witnessed. It took his mother as she was arrested and put into custody as an accessory, to die soon thereafter from an overdose. It took Vince into the foster system where his independent streak rebelled. That was when the woman with the odd name of Sunshine came to call and with papers expertly forged, pulled Vince from the system and drove him part way across the country. She offered him a handful of money and told him he could disappear or stay with her to D.C. and a new life. Not very trusting, Vince nevertheless decided on the latter. 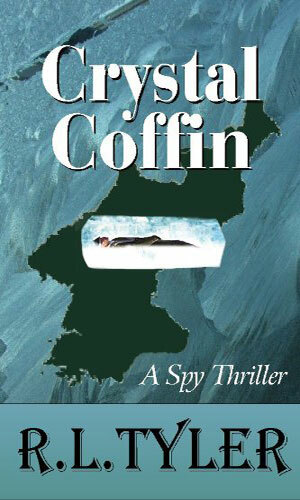 The new life was nearly a decade of training and schooling, some with a man named Tag who took to the boy after time, and then later with Master Tatsujin, a Japanese expat who earned his living training operatives in killing. Vince learned how to use guns and knives with the best of them but he also learned how every day objects like clothespins could be extremely deadly as well. He learned languages and survival techniques and the art of blending in to stay alive. He learned what it took to be a PSF agent. Vince also learned of Maria Catherine Tatsujin, the mixed-race daughter of Master Tatsujin, a girl kept hidden by her protective father but who nonetheless studied his techniques in secret. She had watched the monitors her father had to keep an eye on the students and she followed the sessions with intensity, learning "alongside" the official students. The young girl, as she grew to become a young woman, craved the excitement and danger she knew the trainees were heading for and she knew she wanted to be part of that. Vince was surprised when "Cat", as she called herself, approached him. He wanted extra practice and she needed a sparring partner as well. They both knew the Master would not approve so they met in secret almost every day for a short session, teaching each other and perfecting their skills. Over a couple of years, they also fell in love but refused to admit it. When Vince's training came to an end, Cat made her decision and with a fair amount of strong-arming both her father and the head of the PSF, she went with Vince as his new partner. They solidified that partnership by getting married. That partnership and marriage would last for many years. Vince and Cat are sent by the President to Afghanistan where, working undercover, they are to find ways to cripple the heroin trade. While there they learn of a warlord's plan to take over that government, a scheme which could also bring down the American administration at the same time. To get back a Japanese girl kidnapped by North Korea, a powerful Yakuza leader has the embalmed body of the former Korean leader as hostage. 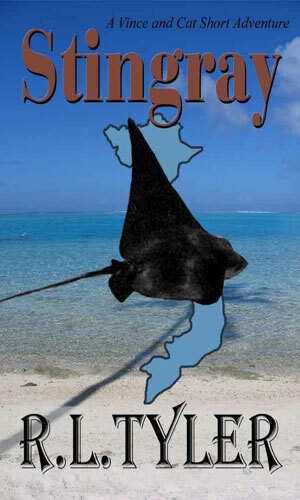 In return, North Korea threatens to start bombing Japan. Vince and Cat are sent in to rescue the girl but traps have been laid for them. While in Kyrgyzstan, a young man tries to mug Vince. Vince is intrigued by the orphan boy and decides to bring him back with him, training him to be an agent. The lad's first mission does not go as planned. Cai is a young girl smuggled into the US from Vietnam by human traffickers. She manages to escape and comes into contact with Vince and Cat who decide to help as Cai goes about freeing the other girls. (Possibly written before all the other stories but coming after all of them) Reeling from a horrible loss, Vince finally tries to move on with life but the memories are far too strong. To help, he looks into a string of brutal murders. The proper reading order can often make a ton of difference in a series and the Vince and Cat stories are perfect examples of that. 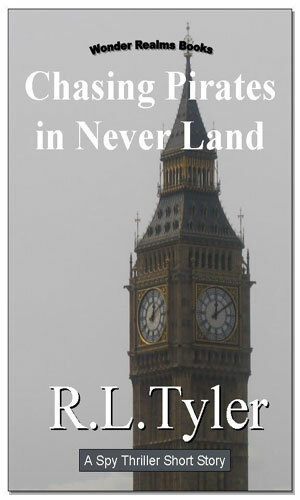 By the publishing date I saw, the short story Chasing Pirates In Never Land was the first so I read it first. DO NOT DO THAT! 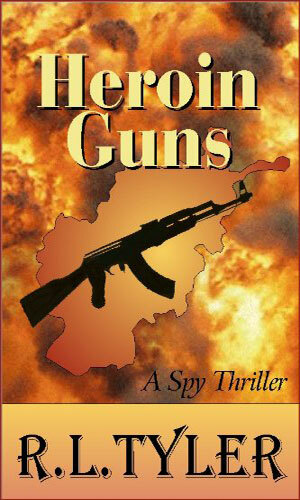 Read the first book, Heroin Guns, first. And then the second book. Then the short stories in the order I have them listed. You will enjoy the series a lot more that way. This is a very fast read. It is enjoyable and entertaining. The main characters are people you will take to immediately. There is not a lot of meat on the bones of the writing but it is obvious there was never meant to be. This was designed and executed as quick storytelling and the author pulled it off nicely. I especially like the character of Cat, wishing I could have learned even more about her or saw her in action even more. She is a very good character worthy of study. Vince is not bad. I liked Cat better. If there had been more to the series, I know I would have read them but as with many easy series, you enjoy it and then move on.